1. 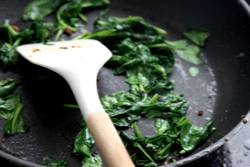 In a skillet, cook the spinach and garlic until the spinach is wilted and the garlic fragrant. Add the sausage, and cook until browned. 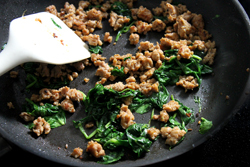 Drain any excess grease from the skillet. 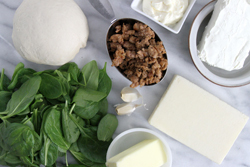 Add the cream cheese, mayonnaise, milk, and shredded white cheddar cheese, and mix together until evenly combined. 2. 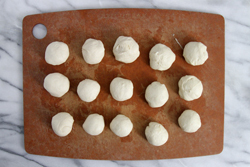 Turn the pre-made pizza dough out onto a lightly floured cutting board and cut it into 16 equal pieces using a knife or a bench scraper. Shape each piece into a ball. 3. Generously butter a 9” cast iron skillet. Place a small bowl top down in the center of the skillet, allowing for about a 3" perimeter around the sides. 4. 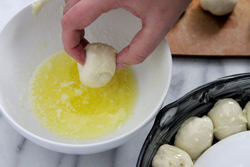 Melt 2 tablespoons of butter with the 2 cloves of minced garlic, and carefully dip each dough ball in the butter. 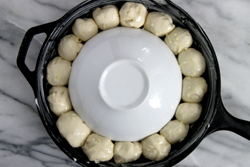 Arrange the dough balls in a ring around the perimeter of the skillet. Cover with plastic wrap and let the dough rise until it has doubled in size, roughly 30 minutes. 5. Preheat the oven to 375° F.
6. 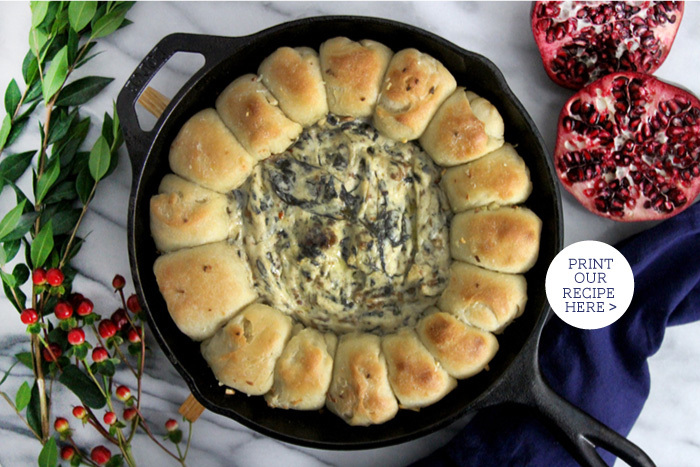 Remove the center bowl and transfer the mixed dip mixture to the center of the cast iron skillet. 7. 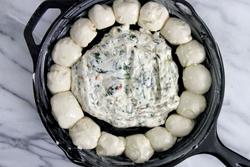 Bake for about 30 minutes or until the ring of garlic rolls is golden brown, and the dip is bubbling hot. 8. Remove from the oven and serve while warm.